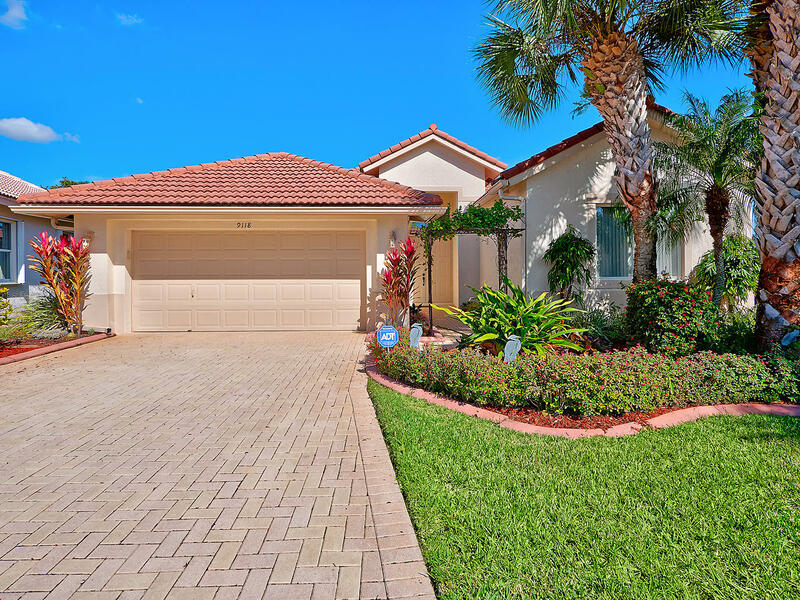 All BAYWINDS homes currently listed for sale in West Palm Beach as of 04/21/2019 are shown below. You can change the search criteria at any time by pressing the 'Change Search' button below. "Just wait until you see this Baywinds beauty! Sited on what is quite possibly the best lot in the community, this luxurious Providence model has it all. Step into the foyer and you will notice the exquisite tile inlays and chandelier as you are welcomed into the home's nearly 2,600 sq. ft. of space and openness. You will appreciate the gorgeous tile and wood flooring throughout, attractive granite counters in the gourmet kitchen and bathrooms, and a large master suite. New black stainless appliances, new sinks, Moen plumbing fixtures and faucets. The crown jewel of this home is the pool area and summer kitchen! The screen enclosure is framed with steel reinforced concrete arches and columns." "WOW!! Loads of Extras. 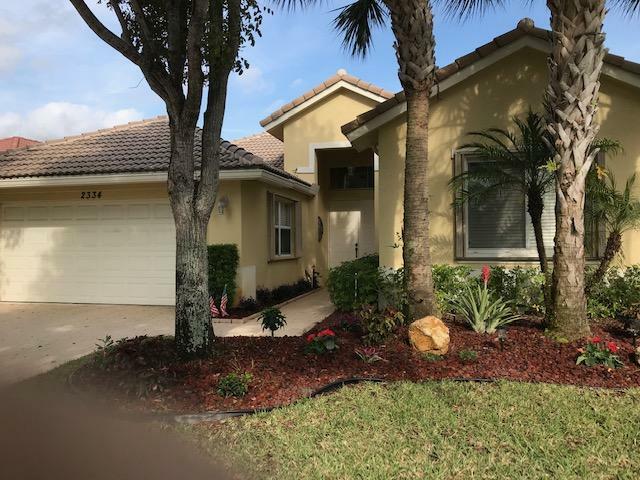 Hurricane Shutters, Phantom Screens, Marble insert in Foyer, Crown Molding, Ceramic Tile, Laminate Wood Floors, top of the line SS appliances, screened in patio and many many more. Newer A/C and Water Heater. Recently painted inside and out. Plenty of activities in Baywinds. Three pools, 6 tennis courts Tennis Pro, Bocce courts (Baywinds is rated #1 team) You can be as busy as you like. Just like summer camp!!! 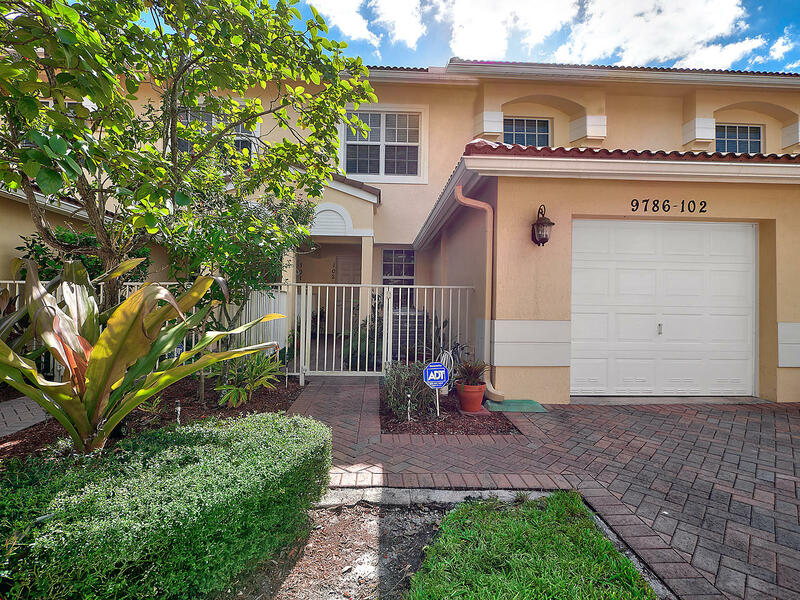 Close to the Turnpike, 95, City Place, Airport, PGA, Hospital, Movies, Shopping to name a few. Don't miss seeing your new home." 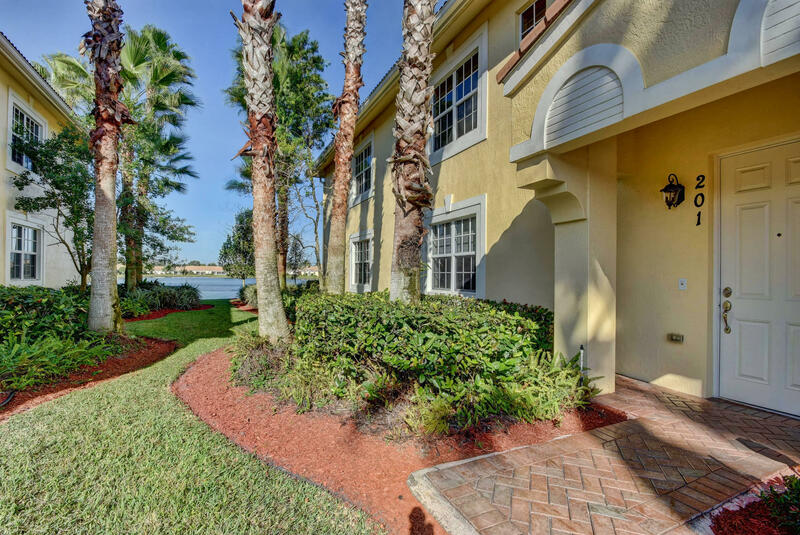 "MUST SEE dream home Fabulous 3BR, 2BA coach home with fantastic lake views in 55+ Resort Community. This second floor open concept corner unit with private elevator has custom paint, window treatments and ceiling fans throughout. Kitchen boasts GE Black Slate appliance suite (2018), compliments granite counters and tile backsplash. Extra pull out shelves in pantry. Pendant lights over granite breakfast bar overlooking dining Cafe and Family Room. Master BR has tray ceiling and custom closets and Master Bath with granite counters, dual sinks and etched glass shower enclosure. 2nd BA with etched glass tub enclosure.Large Laundry Room with GE w/d, utility tub and extra storage cabinets. Other features include 5-ton A/C (2017) impact resistant windows and sliders recessed lights"
"If you enjoy an active adult lifestyle, you are going to love this home. This ground floor unit is a spacious floor plan with a formal dining room; split bedrooms for privacy; kitchen with 42'' cabinets and granite counters; large walk in closet in both master and guest bedroom; laundry room includes utility tub, cabinets and large closet for extra storage. All windows are impact resistant making the home safe and quiet. The resort-style clubhouse features a fitness center; card, billiard and craft rooms; library; lovely ballroom featuring numerous shows, as well as many excursions to local events, etc... The HOA Fee includes more than typical HOA fee plus country club type amenities. (Fee includes exterior building maintenance, water, pest control..- See Maintenance Fee Include section.)"